Binoculars are useful devices that are used in a wide range of applications like birding, stargazing, military, sporting events, hunting and much more. They help you get a closer view of your target object so that you can make your hunting or shooting session successful. If you are looking for a versatile pair for hunting and shooting that is flexible and lightweight, I would recommend Steiner Optics Predator Series Binoculars. This binocular has a user-friendly design among other great features that make it ideal for outdoor use. It is popular among many hunters because of the color adjusted transmission coated lens that works well whether it is dark or dawn. 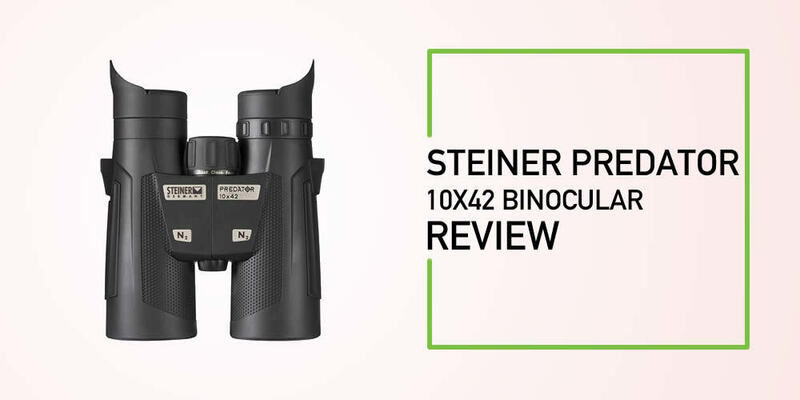 Let us check other outstanding features of this binocular in this detailed review. Wondering if you can locate your target game in any environment? Then you need to get the Steiner predator 10x42. The binocular has a color adjusted transmission lens coating that gives you the chance to see the game in any environment. The peak human vision sensitivity amplifies the contrast with the lens coating. You can be sure to get bright images in high and low light conditions. Whether you are going to hunt at dark or dawn, you don't have to worry about low-quality images. 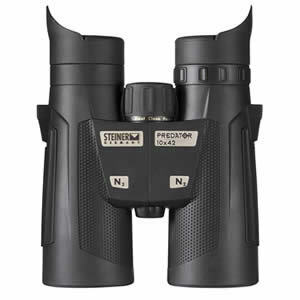 Steiner optics is known for high-quality binoculars that are durable. This model is designed with a durable polycarbonate frame featuring rubber armoring that makes it durable. It can withstand up to 40G's of impact making it one of the best optics for outdoor use. Even if you drop the binoculars accidentally, you don't have to worry about damages. In fact, military and many security forces all over the world rely on Steiner optics for many years because it is designed to last. It is a great product that will give you value for your investment. When you are picking a pair of binoculars, you don't want to end up with a model that provides poor quality images because it will compromise your shooting performance. This is the main reason why the binocular is designed with premium glass as well as proprietary lens coating to provide you with great clarity and brightness when you are viewing your images. The binocular is also designed with an objective lens of 42mm that allows more light to pass in for bright and clear images. A good pair of binoculars should have the ability to withstand any weather condition out there. This one provides you with all-weather reliability so you can use it anytime. It is fog and water resistant so you don't have to worry about using it when there is fog or rain. The binocular is designed to handle the toughest weather condition to give you a flawless performance. This pair provides you with the best sharpness from. By just rotating the central focus wheel, you can get the required sharpness from close up to infinity. This makes it one of the best models out there for tracking objects that are in motion. Every hunter looks forward to a hunting binocular that is lightweight so that it will be easy to carry around. This one has a compact and lightweight design with makes portability easy. It also comes with other accessories like carrying case, neck strap, and a protection cap. Q: Does this binocular come with a quality carrying case? 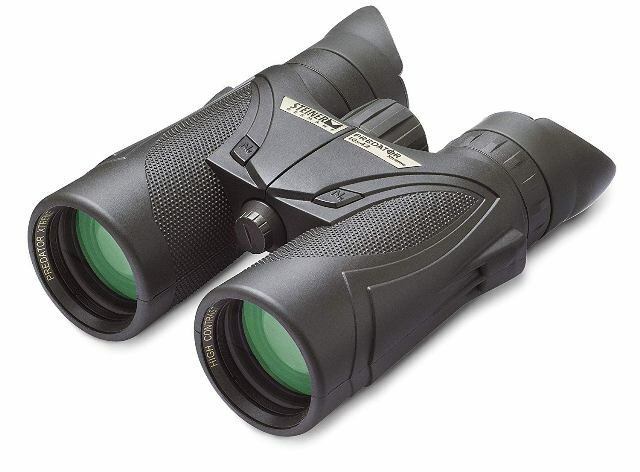 A: This is a quality binocular that comes with a decent case that you can use for storage and transportation. Q: They say that the binoculars make the game to stand out to its contrast environment. Is this true? A: Yes, the binoculars work well in low light conditions. I am impressed with the performance and would recommend the pair. Q: Do I need a tripod to use the binoculars? A: I bought this device and I don't find the need of using a tripod. If you are a hunter, birder or an adventurer, this binocular is designed for you. It has a powerful magnification which helps you see the images as they are without any blur. The binocular is also versatile, compact and lightweight so you will not have trouble carrying it when outdoors. Considering the image quality and other features and benefits, any outdoor enthusiast will love using this device.